Dr. Leonard Fox is a 1979 graduate of the College of Veterinary Medicine at Iowa State University. He graduated as a member of the Veterinary Phi Zeta Society which honors outstanding academic achievement in veterinary college. In 1980 he completed post doctoral training in medicine and surgery as an intern at the Animal Medical Center in NYC. 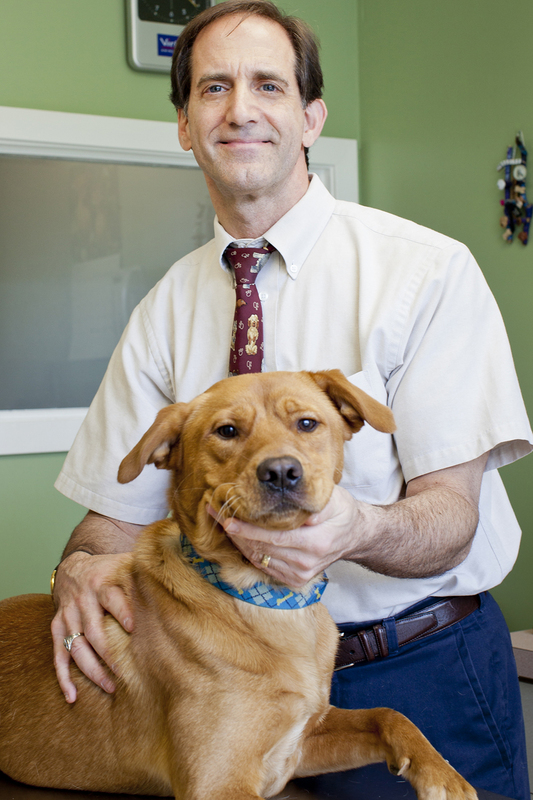 Dr. Fox has been in small animal practice ever since and joined Fine Animal Hospital in 1988. He has special interests in ultrasonography, cardiology and internal medicine.Dr. Fox is married to Maritza and has two daughters, Stephanie and Lina. Two dogs and one cat round out the rest of the family! Dr. Fox enjoys photography, tennis and rock and roll. 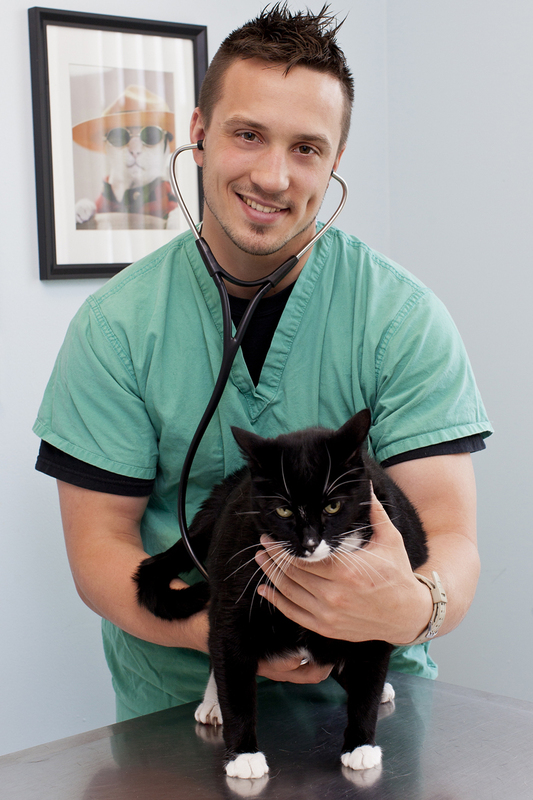 Dr. Honovich was previously a staff emergency doctor with Animal Specialty Center. He received his undergraduate degree in Biology from SUNY Geneseo in 2007. He received his Doctor of Veterinary Medicine degree in 2011 from Ross University with his clinical year being completed at Texas A&M University. He went on to complete an internship in small animal medicine and surgery at Cornell University Hospital for Animals in 2012. His professional interests include emergency medicine and neurology. Although Dr. Honovich enjoyed working as an emergency doctor in Westchester County; he is very excited to be a part of the team at Fine Animal Hospital. Dr. Honovich lives in Carmel and has 4 four-legged kids – Rex the mature pitbull, Thor the studly pitbull, Repo the bull dog and Pooka the zany Chihuahua. Dr. Honovich enjoys racing cars, photography and the outdoors. 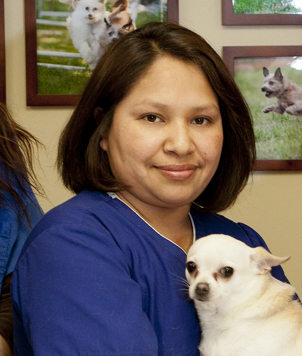 Maritza is Dr. Fox’s wife and is a licensed veterinary technician that is certified in veterinary dentistry. She completed her training at the Animal Medical Center in NYC where she worked in general nursing, intensive care, and as head dental technician for over 15 years. Although the Fox’s have loved and owned Collies for over 25 years, the love of Maritza’s life (other than Dr. Fox) is their Miniature Pincher named “Jeter”. Maritza also enjoys nature walks and watching Dancing With The Stars. Sue is an Attorney-at-Law who proudly worked side by side with her father for many years. She began here as a part time receptionist 7 years ago before jumping in to the management position. She also became a foster mom for a local rescue organization. Sue's pastimes include country line dancing, zumba and boating with her family. 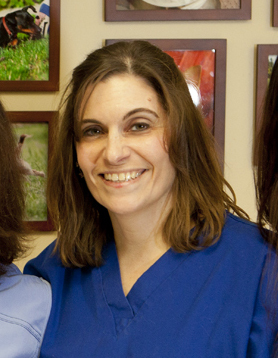 Peggy graduated as a licensed veterinary technician from Mercy College in 1994. Peggy has been with us for over six years and has years of experience with birds & exotics. Peggy takes pride in her role, ensuring the best possible care for our patients. Peggy's house is filled with teenagers and family pets. She has 5 four-legged kids: Barry Allen, Cherry Sue, Corey, Gabby and Maple. When Peggy isn't at work, you can find her rescuing helpless wildlife. Shannon is currently studying at Cedar Valley in their veterinary technology program. 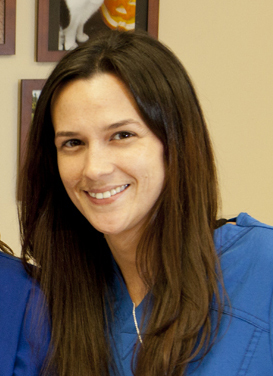 Shannon is a very devoted worker and has been with us since 2010. 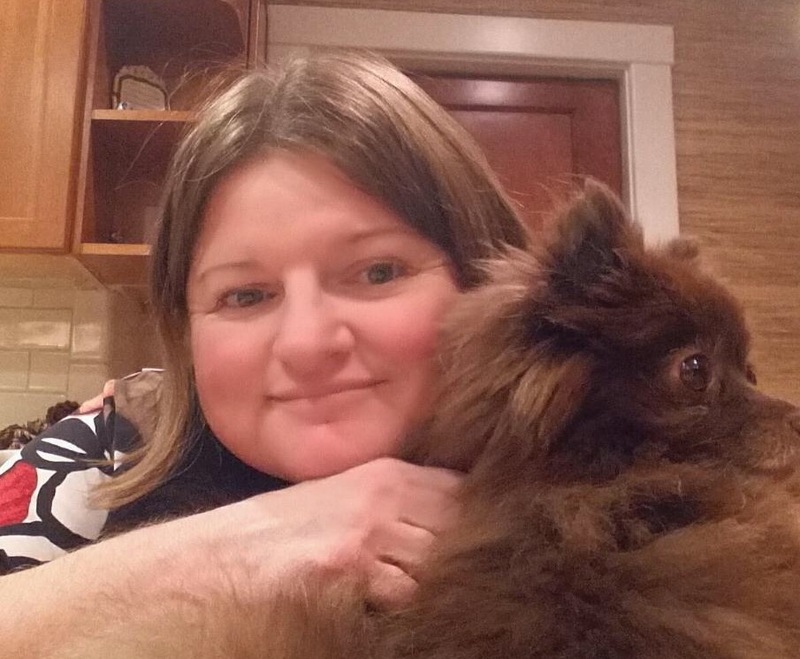 You can find Shannon watching the Rangers and Giants in her spare time with her clan of fur babies, consisting of 4 dogs and 1 cat, and we cannot forget her cornsnake. She also enjoys sitting in the sun and fishing with friends. Sara started with us in 2009 and is on our kennel staff. She is an incredibly hard worker, and you can always count on her to get the job done and get it done right. Sarah has valuable human nursing skills which enables her to also help out as a veterinary assistant. In her spare time, Sara enjoys coloring and knitting clothes for her Chihuahuas and their friends. Caira is currently attending Mercy College in their Veterinary Technology Program. She has been with us for a year and is bright & quick to learn. 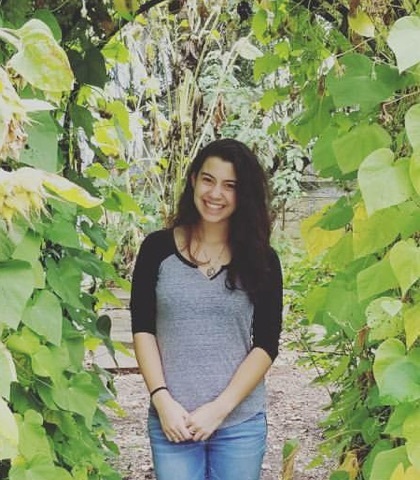 In her spare time she enjoys country music, hiking in the woods, and spending quality time with her best friend, Layla, her lab mix service dog. Karen has been with the Fine Animal Hospital for over 46 years. She is one of our receptionists and has a wealth of information about dogs and cats. You're going to have a hard time finding a question Karen can't answer. 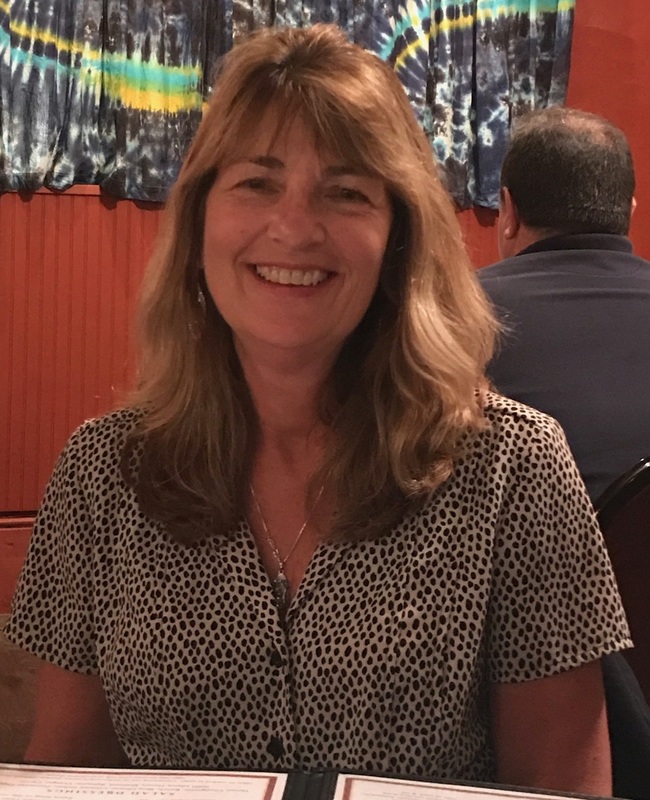 Karen has been a 4H leader for 26 years and is a proud mom of 5 dogs and 1 cat. In her free time, she enjoys the sport of Barn Hunt with her dogs Kya and Eli. Melissa has been with us for over 18 years. She started working in our kennel and has been a receptionist for many years. She may seem quiet and shy when you first meet her, however, once you get to know Melissa, quiet and shy are just not the correct words to describe her. She is quite knowledgeable about our services and products and knows each and every pet by name. Melissa is more than happy to show you her fur baby Julie when you are in for a visit. Lyndsey joined the FAH family in 2016. She comes with experience and is very knowledgeable about our products and services. You can always find Lyndsey spending quality time with her family, outdoors or in the kitchen. She always makes sure the staff here has happy full stomachs. Lyndsey's full house includes her dog "Hugs", 3 cats and usually a foster pup or two. Another member of the Fox Family, the Fox's grandson, Ryan started working at FAH in summer of 2017. Even though he has only been working with us for a short time, Ryan has found what he is passionate about and aspires to be a veterinarian one day. In Ryan's spare time you can find him rocking out to the oldies, like The Beetles or The Rolling Stones, or relaxing by playing his guitar. Just a note to say how much EACH and EVERY one of you are appreciated for everything you do for all of our animals. The kindness, care, and expertise and patience you ALL show are not overlooked-from those who answer the phones at the front desk, to those who help me carry the animals in from the parking lot, to the great vet techs, to Maritza's skill, knowledge and friendliness to the BEST two vets around, Dr. Fox and Dr. H., THANK YOU, THANK YOU FOR BEING THE WONDERFUL TEAM THAT YOU ALL ARE!! We are lucky to have you caring for our beloved pets! !